K&J Integrated Systems delivers Peace of Mind through installation, service and testing of fire alarm systems. We also work closely with local authorities to ensure that your building follows proper code without breaking the bank. Property managers, facilities directors, administrators and all other personnel who are responsible for the lives of their employees and safety of their buildings, know that a fire alarm system produces this all important benefit—peace of mind. Proper attention may not be paid to fire alarm systems because they are not needed until there is an emergency—they may not be “top of mind”. Decision makers may not see the urgency to ensure that their system will pass inspection and even more importantly, to operate properly when it counts. K&J Integrated Systems is your fire safety expert and ensures that this vital system remains fully operational, because the lives of your employees or tenants certainly is a priority. Align yourself with an expert who has years of experience and training in fire alarm systems. Other companies may actually view the need to keep your fire safety equipment compliant as a revenue opportunity—we look at it as a way for you to save money. We’re not out for profits when it comes to keeping you compliant. We realize that your family or employees—not only your possessions--deserve priority and the highest level of protection when it comes to security systems. While K&J Integrated Systems uses state of the art techniques to protect both, we will never lose sight of the fact that the most important assets are those closest to you. K&J Integrated Systems provides 24 hour emergency services to all our customers. We know that alarms can activate at any time, and you can be sure that our technicians will be on site no matter when you call. Our Team provides uninterrupted after-hours and emergency service. For consumers, this maximizes system functionality and minimizes liability. K&J Integrated Systems offers full-service central station monitoring. With an Underwriters Laboratories certification, our monitoring company meets the highest level of industry standards. 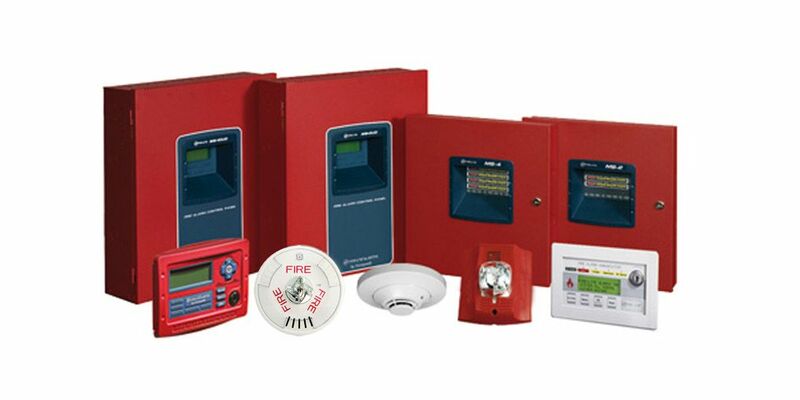 K&J offers monitoring for all types of Fire and Security Systems. Consumers can be confident they will receive continuous and inexpensive 24-hour monitoring service with fast response times from emergency personnel, to ensure safety. As your full-service Fire and Security Systems contractor, we handle all the administration and maintenance to ensure seamless, constant protection. K&J Integrated Systems is an Underwriters Laboratory-certified fire alarm company. We meet the highest standards for fire alarm installation and services. Our fire alarm inspections specialists have been testing and servicing fire alarm systems for many years. Each technician is trained on performing NFPA required tests and maintenance on all types of fire alarm systems. Other vital fire safety products and services K&J provides include testing and inspecting sprinkler systems, fire extinguishers and kitchen suppression. You may have seen the commercials on television of people using remote video monitoring to view their pets, nannies, family members and more. There are many ways nowadays to label the process of ensuring that your data is backed up and safe.